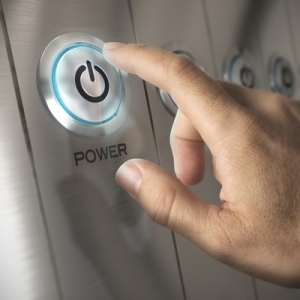 Data center energy efficiency is at the forefront of hot topics for data centers. And, for good reason. Data centers use a truly astonishing amount of energy each year. The Natural Resources Defense Council (NRDC) noted just how much energy data centers use, “In 2013, U.S. data centers consumed an estimated 91 billion kilowatt-hours of electricity, equivalent to the annual output of 34 large (500-megawatt) coal-fired power plants (and, the NRDC notes, the equivalent of enough electricity to power all the households in New York City twice over). Data center electricity consumption is projected to increase to roughly 140 billion kilowatt-hours annually by 2020, the equivalent annual output of 50 power plants, costing American businesses $13 billion annually in electricity bills and emitting nearly 100 million metric tons of carbon pollution per year.” Improving energy efficiency in a data center is incredibly important but can seem like a daunting task for many data center managers who often are not even certain where to begin, if they have the budget to make changes, or if the changes they make will truly make an impact. One of the first, and most practical ways to begin a shift towards improving energy efficiency is to take a real look at energy usage. What is using the most energy, should it be using that much energy and can anything be eliminated? Often, energy is being wasted on ghost infrastructure or outdated energy-draining equipment. But, as many data center managers know, it can be difficult to keep track of all of the infrastructure in a data center or truly know what is using the most energy of inefficiently using energy. That is why a good DCIM plan is important so that data center managers can work with the most current information rather than outdated information and make well-informed decisions going forward. Once you have sufficiently audited data center energy usage and are able to make well-informed decisions for improvement you can move onto the next step. Next, make immediate changes to improve energy efficiency while also looking at long term improvements. Long term improvements are incredibly important and it is wise to look at how to remain sustainable in the future but while making decisions for the future you can make some immediate changes such as hot aisle/cold aisle arrangements or other containment options that may help improve energy efficiency. While other improvements are more difficult or costly to implement, containment arrangements can be made and executed relatively quickly and will make a big impact. While making immediate changes it is important to get budgetary approval for bigger changes and, once approved, begin moving forward with changes that will help your data center remain efficient in the future. This most likely means upgrading equipment to the most current, energy efficient options. All equipment has a lifespan and once they are getting a big old they will likely become energy inefficient. If you have budgetary approval to make improvements with heating and cooling options as well it is a great choice to improve your cooling ability within a data center because cooling is typically one of the biggest expenses in a data center. Lastly, explore green options like making a switch to more fully utilizing cloud storage or implementing cooling with outside air sources so that you can be as energy efficient as possible now and in the future. This entry was posted in Back-up Power Industry, DCIM, Power Distribution Unit, Power Management and tagged data center cooling, data center equipment. Bookmark the permalink.